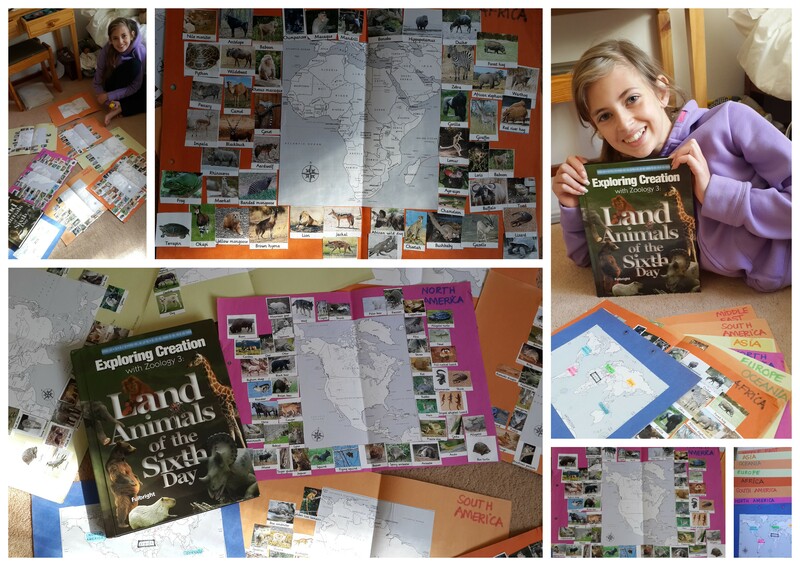 We have completed our Exploring Creation with Zoology 3 Land Animals Apologia Science book. We took our time, and spent about 18 months enjoying our reading, researching and discoveries. I LOVE to take things slowly. In all our years of homeschooling, I must endorse this – take your time with the things your kids enjoy! Flesh it out, savor it. Delve deeper, dig out more. 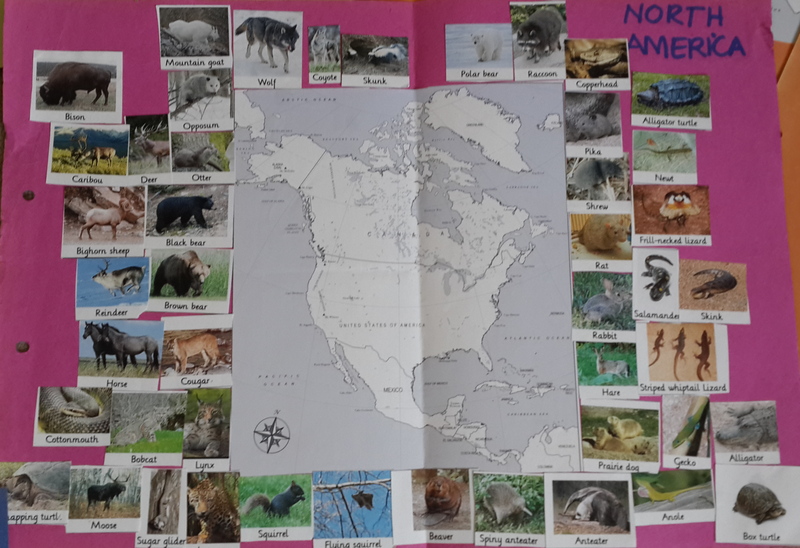 All the way through our studies, my daughter pasted the images of each animal mentioned in each chapter onto continent maps. Pop over to the original blog post and here is your free download ~ Classification Table+cards. This is a simplified version of Animal Classification. But now it is time to take it down to make way for our next Science book … Astronomy! 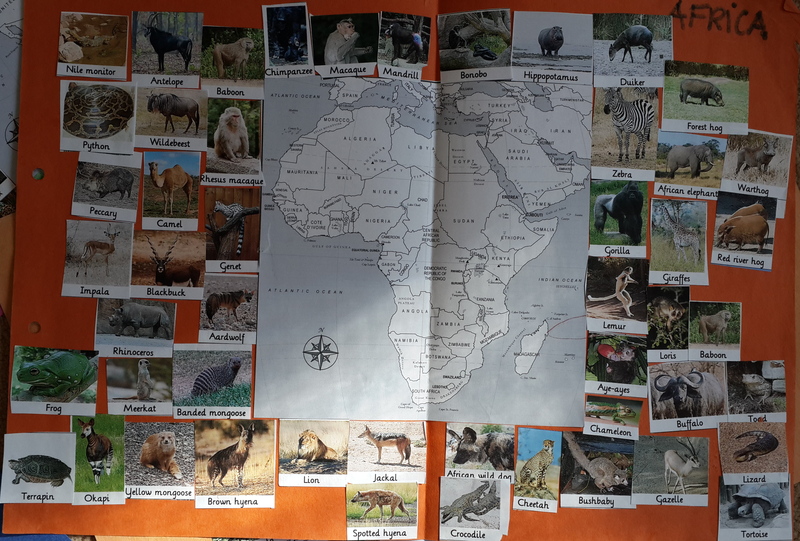 Thanks for sharing your blog and giving access to all the work of getting the animals pictures and maps. 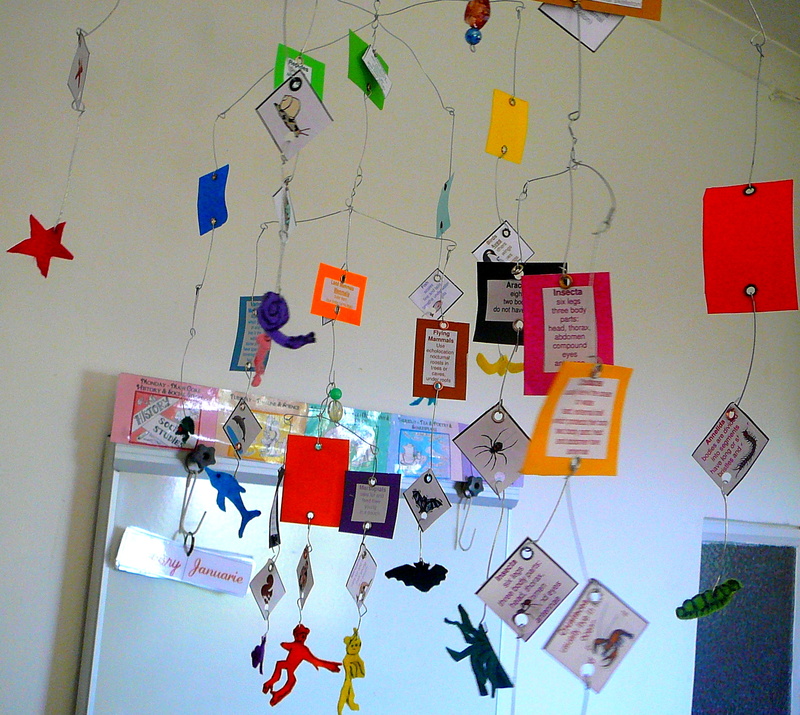 We are doing Flying Creatures of the third day at the moment. It was inspiring seeing your photos and reading through your blog. Thanks. WONDERFUL idea. Thank you for sharing, I look forward to doing this, too! I love reading yoir blog !! I find that yoir words so encouraging and exactly what I need to hear. Thank you for sharing your ideas. 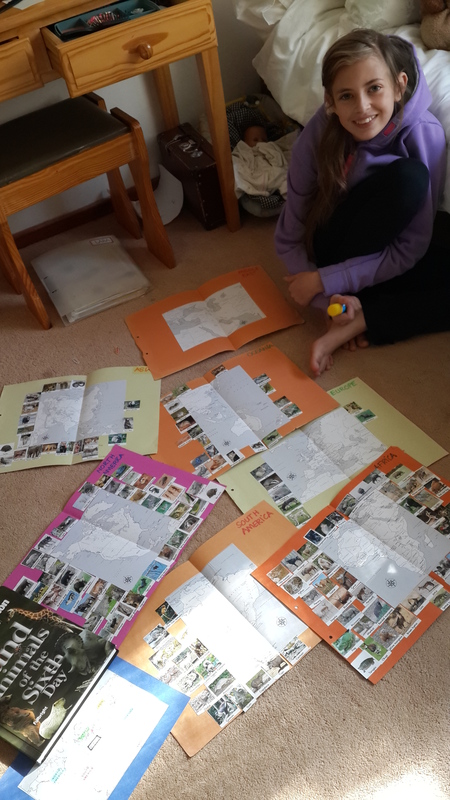 Just getting ready to start the Zoology 3 Book…We’ve already completed the Botany and Astronomy Books and loved them. Thank you for your wonderful ideas! I love your ideas on the maps and animals! I am looking for maps to download and am having a hard time finding maps. Do you have a recommended site where I can look to download maps? Thanks so much for your blog! Very creative and lovely! I wish I’d found this before we started our Zoology 3 study! I love all the animal pictures! And the way you did your maps!